Why did Matthew go out of his way to highlight the troubled ancestry of Jesus? Because Matthew himself was troubled. He was a Galilean Jew who paid Rome for the privilege of taxing his own people. What a sellout. Along the north shore of the Sea of Galilee, on a bumpy road overlooking the lake, was a tollbooth where the local fishermen flung their taxes to whatever sellout Jew collected taxes for Rome. Little did a hated publican named Matthew know that one day he would get an unexpected call to follow the Rabbi from Nazareth. The Book of Matthew explores the life of Jesus as He walked and worked with 12 ordinary men. These lowly men were given the highest privilege in the world: the gospel ministry of Jesus Christ. And still, Jesus seeks those who would be colaborers with Him: men and women who will learn of Him and become like Him in mind and character. 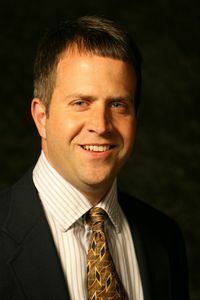 Andy Nash is a professor and pastor at Southern Adventist University in Collegedale, Tennessee.